The Year of the Pig hasn’t officially begun yet, but hundreds of thousands will be taking to the streets in a little while to see in the new year by watching dazzling fireworks, parades and compelling shows. Best of all, Hong Kong welcomes Chinese New Year 2019 with a variety of lively celebrations. Whether you are entertaining with your kids, accommodating the extended family on a flying visit or simply in need of some jolly preparation ideas, we round up the best of Hong Kong’s festive offerings that are certain to cater to all the family. You know what Americans say when it comes to experience something to its fullest – go big or go home. Fancy a fun family day out packed with festive shopping, traditional Chinese market and various educational and entertaining activities all in one place? The solution? Get stuck into festive fun on 26th January 2019 with CNY bazaar and a huge array of workshops on offer at Fairchild Kindergarten. Brush up on your culinary skills or Fai Chun writing technique in time for the festive season by attending a dumpling making class or Fai Chun Writing session. We would also tick off their Science or STEAM workshops and kids’ “Love & Share” talk by Christian Actions. 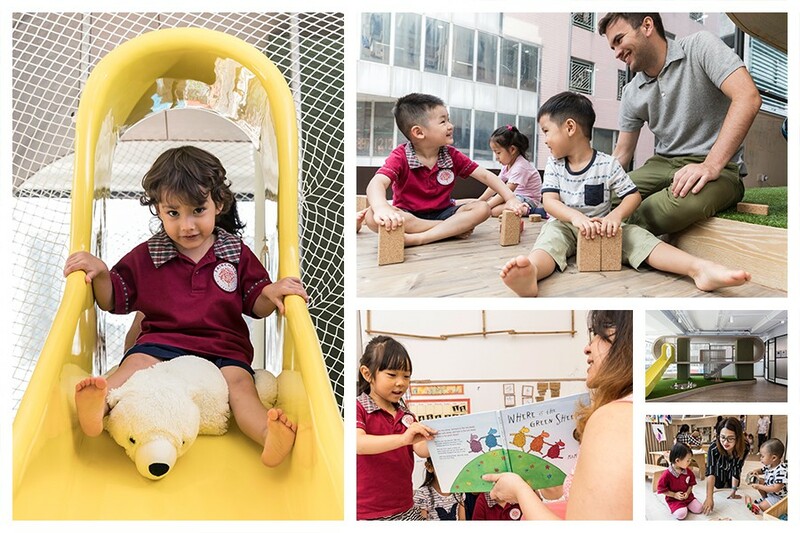 The other ones that really caught our eye are the free English / dual language trial classes for children aged 1 to 5 years and Multiple Intelligences Course called The Bookworm Families for children aged 3 to 6 years that run in collaboration with HKU professor Dr. Sam Chu. Although this is technically available to the public free of charge, online registration is required. Chinese New Year is imminent, and if you've got kids to entertain in Hong Kong during this festive period, take your pick from a range of craft activities. For bundles of fun, ensure that you don't miss out on the one-day playful workshops by Kidenza. The main reason to come here on 2nd February 2019 is, of course, educational fun and two festive events. Just as importantly, parents get an opportunity to participate in some creative activities with their little ones, and get messy outside of their home in a productive way. To say the least, it is a wonderful bonding time for families with kids. 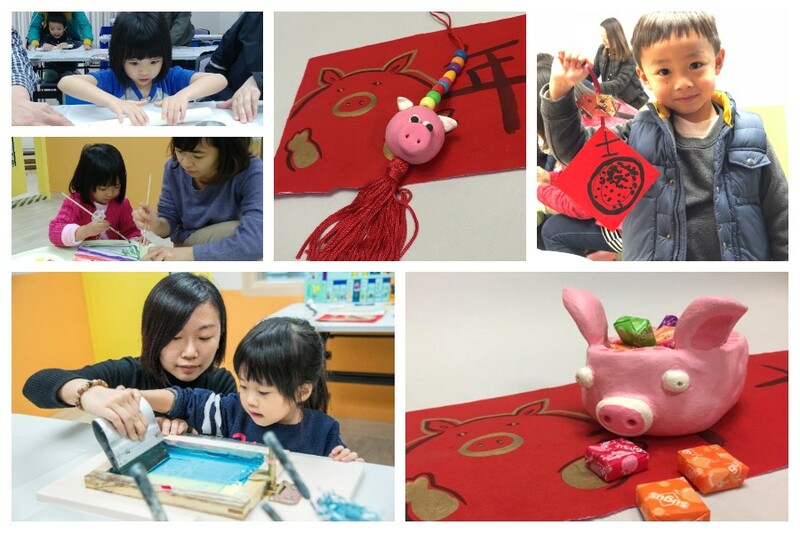 The two workshops will feature authentic Pig-themed decorations including making a candy bowl, designing a festive CNY decoration and doing screen-printing Fai Chun! It is also worth mentioning the exceptionally kind, patient and professional staff, that provide support and encouragement to the youngsters and parents alike. CNY Decoration for the Year of the Pig + Screen Print Fai Chun (suitable for children over 4): 1:30pm – 3:30pm. Venue: Kidenza. 2/F, Tung Chiu Commercial Centre, 193 Lockhart Road, Wan Chai (Wan Chai Station, Exit A1, 2-min walk). Lunar New Year is an ideal time to get crafty and not only because it is a great festive activity that doesn’t cost a fortune. It is also because you can get kids involved and keep their hands busy without too much input. With extended families and friends visiting your house, there is no better time to use your creations to deck out the house and display your little one's crafty talents proudly! Of course, getting crafty at home with kids can cause a mess, but it is a great chance to develop their sensory skills whilst creating a fun decoration. We've found cheap and cheerful ways of having a festive home with the fancy looking Ang Pow Chinese New Year Lantern. Check out this video tutorial – it’s one of our favourites. Let the kids go nuts and get into the festive spirit! Giving "lucky money" to children in red envelopes is one of the favourite and most fun traditions for kids and their families, as Ang Pow evokes feelings of excitement and expectation. If none of stock-produced red envelopes hasn’t stolen your heart yet, craft your own ones decorating them with Chinese characters for luck and happiness. This is also a delightful and enjoyable activity for children, which totally engrosses them into the process. Furthermore, making Ang Pow arouses the interest and curiosity of the origins of the red envelopes. It is a wonderful bonding time for families with kids – to say the least – kids gladly become decent team members in the build-up to Chinese New Year. 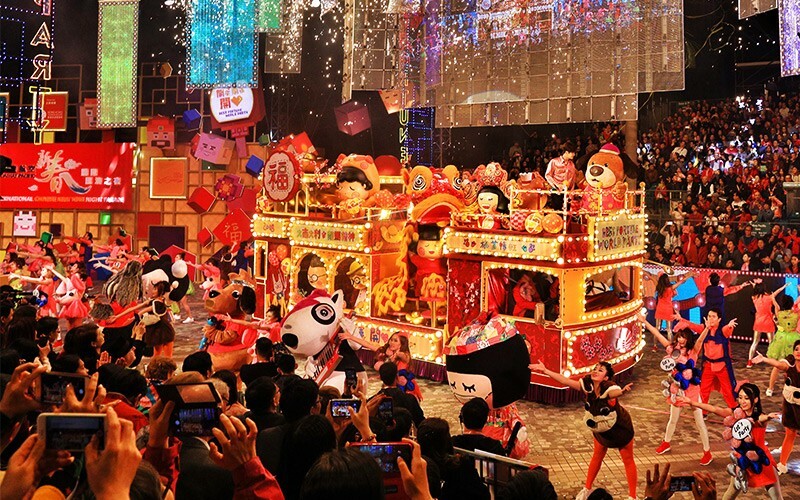 Hong Kong’s largest and most anticipated annual events, the International Chinese New Year Night Parade, is back with even more unexpected and surprising shows by local and international performers. From immersive experiences to fantastic floats, marching bands, acrobats, centuries-old traditional dragon and lion dances, firecrackers and everything in between, this is definitely worth a visit. The parade will start with an Opening Ceremony at the Hong Kong Cultural Centre Piazza. First float and performing group will appear at Canton Road at around 8:30pm, Haiphong Road – at 8:50pm and Nathan Road – at 9pm. Tickets: Free viewing along the streets. HK$480/HK$450/HK$300 per person for spectator seats at the Hong Kong Cultural Centre Piazza. HK$300 per person for spectator seats on Nathan Road. Route: Major roads in Tsim Sha Tsui, Kowloon. Hong Kong’s visually appealing flower markets are one of our favourite ways of experiencing an incredible festive time. After all, is there anything more sensory than enjoying riotous colours and aromas of orchids? This time round there will be even more sensational flowers to sneak a peek at. 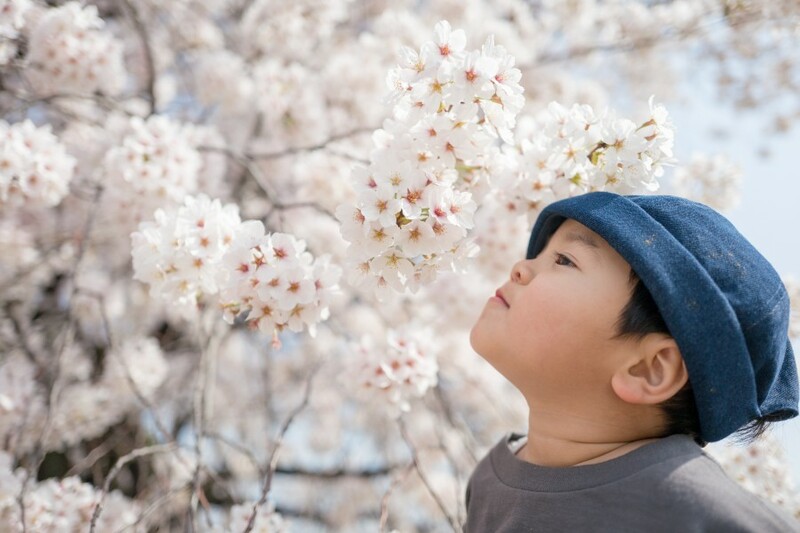 From 30th January until 5th February 15 parks and playgrounds across Hong Kong including Victoria Park and Fa Hui Park are jam-packed with colourful blooms and the air is filled with the scent of flowers. There is no better place to buy bouquets, posies, bushes, pot plants, cut flowers or even herbs! It will also feature some artisan goods, gifts, souvenirs, toys, works of art and decorative items. Fa Hui Park – 101 Boundary Street, Sham Shui Po, Kowloon. 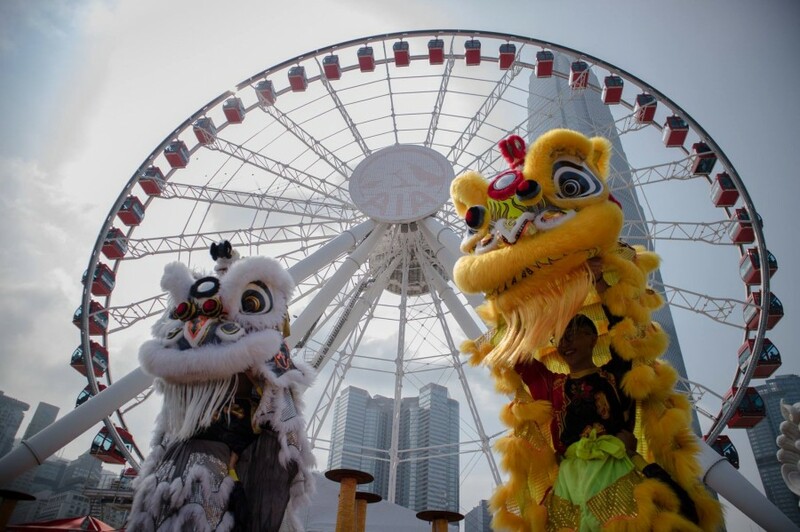 Thousands of people gather every year at the Hong Kong Observation Wheel & AIA Vitality Park to celebrate Chinese New Year with their loved ones. Join them this festive season for a range of magical experiences your family won’t forget. 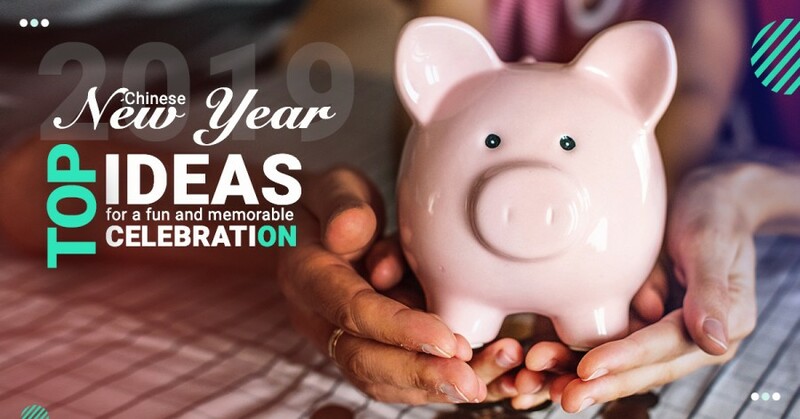 Get inspired by its holiday spirit, auspicious traditional Chinese decorations, and fabulous lion dancing performances to ensure good luck and happiness for the coming year of the Pig! Whatever your plans, have a fantastic Chinese New Year in Hong Kong. 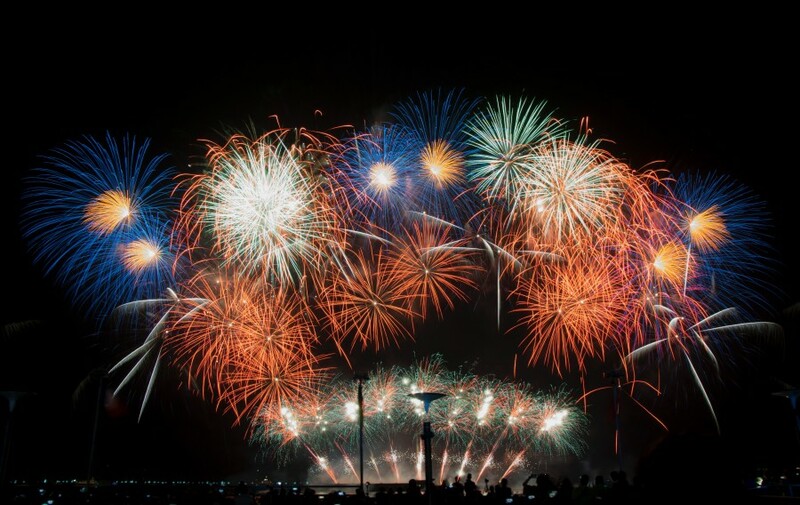 If you want to get the most out of Hong Kong’s celebrations, make sure to check out our website for more fabulous ideas.